On May 8 and 9, 2013, Mary Neal, director of Assistance to the Incarcerated Mentally Ill and Dog Justice for Mentally Ill Americans, was a guest on the Rev. Floyd Harris, Jr. Blogtalkradio show, "Real Talk with No. 1 Doctors." Dr. Jean Kennedy, a psychologist, is his co-host for the show where social and political discussions are broadcast live Monday through Friday at 11:00 p.m. Eastern Daylight Time. Please play the shows in the two widgets below (links are also provided below, dated May 9 and 10 at Blogtalkradio). "Rev. Harris and Dr. Kennedy Interview Mary Neal - Part 1"
"Rev. Harris and Dr. Kennedy Interview Mary Neal - Part 2"
The May 8 show covered information on how we got here. How did America reach the point where 1.25 million mentally ill people are inmates rather than hospital inpatients or outpatients, according to their offenses and functionality? We also discussed mentally ill people who are on death row, although the U.S. Supreme Court ruled that such persons are not eligible for execution. Learn why the insanity plea usually is not used or often fails, even when a criminal defendant has a long, documented history of mental illness. We reflected on America's standing as a human rights advocate, waging war over human rights violations internationally, while engaged in mass incarceration at home. America holds the world's largest prison population in human history, with over half of those incarcerated being the nation's mentally challenged people. We talked briefly about the solution for many mentally challenged offenders: assisted outpatient treatment (AOT) programs. During Part 2 of my interview with Rev. Harris and Dr. Kennedy for their "RealTalk1Drs" Blogtalkradio show, I exposed why this civil and human rights activist is censored: 1) to cover-up the secret arrest and murder of Larry Neal, which you are invited to read about at the website called "Wrongful Death of Larry Neal.com" at http://WrongfulDeathofLarryNeal.com and 2) to protect the reputation of the law firm that defruded my family to protect Memphis Shelby County Jail after Larry Neal's secret arrest and murder in that publicly-owned correctional facility - The (Johnnie) Cochran Firm frauds. 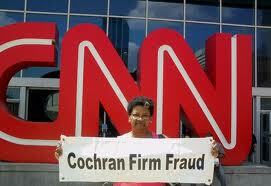 Learn more by conducting a Google search for "Cochran Firm Fraud Against Mary Neal." I found that the justice system and media are apparently interested in covering-up Larry's murder and protecting the reputation of this deceptive law firm rather than securing justice for a mentally ill heart patient who was killed while in secret government custody. 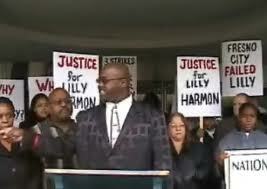 During my justice quest, I discovered that mentally ill Americans' right to life, especially blacks', are considered "immaterial" and laws protecting same are less enforced than laws protecting animal rights, especially regarding police wrongdoing. Repeat of Paragraph 1: (There are two urls to the radio shows on this webpage.) On May 8 and 9, 2013, Mary Neal, director of Assistance to the Incarcerated Mentally Ill and Dog Justice for Mentally Ill Americans, was a guest on the Rev. Floyd Harris, Jr. Blogtalkradio show, "Real Talk with No. 1 Doctors." Dr. Jean Kennedy, a psychologist, is his co-host for the show where social and political discussions are broadcast live Monday through Friday at 11:00 p.m. Eastern Daylight Time. Please play the shows in the two widgets below (links are also provided below, dated May 9 and 10 at Blogtalkradio). Mary Neal pickets media companies for refusing to report Larry Neal's secret police kidnapping and his murder and H.R.619, a mental health bill that would have restored Medicaid for qualifying patients to have inpatient treatment. When dogs were abused and some were murdered on Michael Vick's ranch, the world was outraged, and the football star was investigated, prosecuted, sentenced and fired. Many Americans are denied "Dog Justice."